In one corner of Banke District in Nepal, Vishnu Rejme runs his agrovet stall. 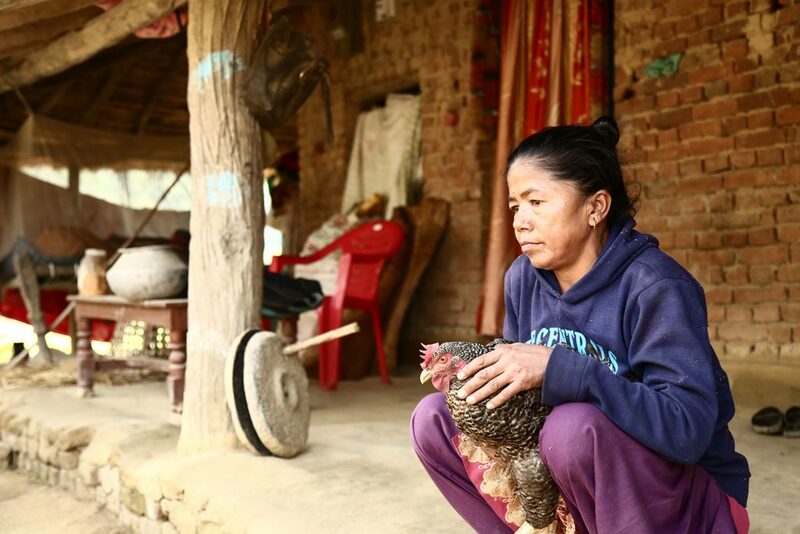 He is one of those community agroveterinary entrepreneurs – commonly known as agrovets – who are sustaining the system of poultry vaccination in remote parts of Nepal. They form the vital ‘last mile’ connection to poultry farmers in the vaccine supply chain. Vishnu not only supplies and vaccinates chickens, but also helps to create awareness of the need for vaccination against the deadly Newcastle Disease. The work being done by Vishnu and other agrovets was initiated by GALVmed and Heifer International. Script by Prasenjit De and Shekhar Kanojia. Videography by Tapas Ranjan Barik. Video editing by Rajesh Kumar. Peste des petits ruminants (PPR) is a highly contagious viral respiratory disease of goats and sheep causing up to 80 per cent mortality in flocks. The disease is present in West Africa, part of Central Africa (Gabon, Central African Republic), East Africa (north of the Equator), the Middle East and the Indian subcontinent including Nepal and Myanmar. The total yearly cost of PPR is estimated to be US $874 million. PPR and another viral disease, Sheep and Goat Pox (SGP), are often vaccinated separately and only during outbreaks. The vaccines are often controlled by governments and supplies can be limited. Sheep pox and goat pox result from infection by sheeppox virus or goatpox virus. The disease is found in most of Africa, the Middle East and Asia. SGP may be mild in indigenous breeds living in endemic areas, but can be fatal for newly introduced animals. Economic losses result from fall in milk production and decreased quality of hides and wool. Sheep and goat pox can limit trade and prevent the development of intensive livestock production. The total yearly cost of the disease is estimated to be US $48 million. Market approval is currently being sought for a new low-cost combined vaccine against PPR and SGP. While the monovalent PPR vaccine is a public good, it is expected that a multivalent PPR/SGP vaccine would not be. While emergency intervention by governments and international agencies such as FAO have been used to distribute the monovalent PPR vaccine, more sustainable systems need to be developed to make the interventions more reliable, cost-effective, consistent and timely. Bivalent vaccines are also more cost effective compared to monovalent vaccines. The vaccine cost is 40 per cent cheaper than the cost of two vaccines and protects against two diseases. GALVmed held workshops in South Asia and Africa for stakeholders working in the field of taeniasis and cysticercosis recently to discuss integrated human and animal health approaches to controlling these parasitic zoonotic diseases. Taeniasis and cysticercosis represent a serious public health issue in the developing world with negative impact on livestock farming households and national economies, causing around five million human infections and 50,000 human deaths each year. The meetings held in New Delhi , India and Entebbe, Uganda, brought together policy makers and key influencers from the human and animal health sectors, regional and international human and animal health organisations, research, academia, commercial partners, civic society, manufacturers and their local technical representatives plus local pig farmers and traders. Through presentations from national, regional and international experts, participants were given information and updates on current porcine cysticercosis (PC) control programmes in their territories. In Entebbe, Dr Angie Colston, GALVmed’s Assistant Director for Research and Development, presented results on GALVmed’s activities on PC including findings from GALVmed-commissioned cysticercosis landscaping studies in Africa. In New Delhi, Dr M I Barbaruah from Vet Helpline India and Dr N P S Karki, an independent veterinary consultant from Nepal, presented the landscaping reports and results for India and Nepal respectively. Keynote presentations were given by Professor Marshall Lightowlers, Professor of Veterinary Science at The University of Melbourne and Dr Meritxell Donadeu, International Development Professional and Visiting Research Fellow at The University of Melbourne. Professor Lightowlers and his team have developed the first-ever licensed vaccine for PC. Also in attendance were Mr N S N Bhargav and Dr Baptiste Dungu of Indian Immunologicals Limited, India and MCI Sante Animale, Morocco respectively. 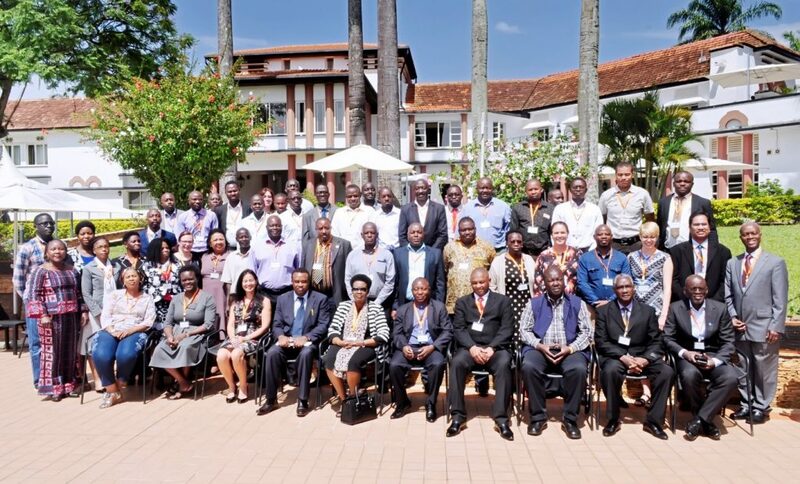 The Entebbe meeting, organised in collaboration with the Nairobi-based International Livestock Research Institute, was officially opened by Joy Kabatsi, Uganda’s Minister of State for Animal Industry and hosted over 50 participants from Madagascar, Tanzania, South Africa, Uganda and Zambia. Dr Mwemezi Lutakyawa Kabululu from Tanzania, Dr Chrisostom Ayebazibwe from Uganda and Dr Evans Kabemba Mwape from Zambia, researchers from the three target countries featured in GALVmed’s African cysticercosis landscape and technical reports, gave national perspectives on the effects of the disease in humans and animals. In addition, participants heard of the experiences of the Pan African Health Organisation (PAHO) on their ‘One Health’ approach to tackling PC and representatives from Madagascar shared their best practices and success stories with an integrated approach to controlling PC. Commercial partners gave their perspective on the vaccine manufacturing, registration and distribution of vaccines. In New Delhi, opening remarks were given by Dr A C Dhariwal, Director of the National Centre for Disease Control (NCDC), and Dr G Gongal, World Health Organization, India, to 45 participants from Nepal and the Indian states of Bihar, Meghalaya, Mizoram, Nagaland, Assam, Jharkhand, Tamil Nadu, Uttar Pradesh and New Delhi. Dr Dhariwal said the economic importance and evidence related to neglected tropical diseases like taeniasis/cysticercosis should be highlighted to encourage collaborations to occur. Dr G Gongal added that taeniasis/cysticercosis affects poor and excluded people more and since we now have PC tools, action must begin on ground. Neurosurgeons Dr V Rajashekhar from Christian Medical College, Vellore, and Dr Manjari Tripathi, from All India Institute of Medical Sciences, N Delhi, called for programmes to control taeniasis/cysticercosis to be launched as soon as possible. The need for improved disease surveillance systems to assist policy makers in making informed decisions was also highlighted by Dr Rahman, the head of International Livestock Research Institute for India. Dr Mamta Dhawan implored all to collaborate so that a beginning could be made through small pilots in different states of India that could be replicated and scaled up once a successful model is identified. A key outcome of the workshops was a call to target policy makers up to the highest level to create engagement and collaboration using a narrative from a human health perspective to make a compelling case for an integrated ‘One Health’ approach to control taeniasis and cysticercosis. Raising public awareness of the disease, its prevalence, transmission and control was also emphasised. It is this awareness that will raise demand for vaccines and dewormers and encourage manufacturers to maintain vaccine production with the overall objective of improving animal health and ultimately human health. Commenting on the success of the meetings, Lois Muraguri, GALVmed’s Director of Policy and External Affairs, said: “The information and knowledge gained from these presentations and discussions has encouraged taeniasis and cysticercosis stakeholders to uphold a One Health approach as a viable option for the control of porcine cysticercosis and neurocysticercosis. GALVmed welcomes all questions and suggestions regarding taeniasis/cysticercosis and a One Health approach. Please contact: info@galvmed.org.